The great fortune of being a millionaire is so rare in the world as most of us oust ourselves from the running even before trying to be one. We see generations before us grind endless hours working their whole lives, sometimes more than one job at a time trying to make futile efforts of reaching that status. But they end up in their deathbed full of remorse and unfulfilled aspirations. Some who fail to achieve this millionaire status, would try to validate their inability by saying that “I do not really care about money” or “millionaires are not really happy”. We are sure that you may be able to think of million such excuses. But as millionaires put it bluntly, nobody becomes a millionaire by accident, if you do not make it a life goal or plan then you will surely not get it. But this article is not just about money, with this post we aim to bring about a radical paradigm shift of a common belief system that people possess. After reading this you will be propelled into the right path towards sustainable wealth. But before we begin, let us address the term wealth which is often referred to in a bad light. But there is nothing wrong with being wealthy, after all YOLO! The biggest companies in the planet presently are hiring young talent. Companies like Google and FaceBook love the people who have a sense of purpose about them and possess an intrinsic urgency about their life. Simply look at Google who is hiring teenagers more than college pass outs, they have even hired a 12 year old who has just began high school. To be successful, you must understand that the most important phenomenon right now is time, the mentality of “someday isle” is a serial dream killer, so stay away from the boat. The dangerous feature of opportunities is that, they are only the perfect opportunities if one is taking full their advantage. A commonality amongst young millionaires is that they always jump at opportunities and they are always poking around for new ambitions and goals. So, if you are truly serious about success then you must have a sense of urgency which lacks in most of the society. Whoever said that behind every successful man is a…mentor was absolutely right. Did they say that? If they did not yet they should. Because behind every successful young entrepreneur we find a wise and dedicated mentor, they guide them, challenge them, they also focus on enabling them to think bigger. They know it better than everybody else that it is impossible to learn, grow and be the person that is needed to join the millionaire breed without having an extensive army of network behind them. The rise and fall of success does not only ride on hard work, it rides on who you associate with. So, it is important for aspiring entrepreneurs to stay aware of their surroundings. It is possible to organize and systemize everything except time, thus one must make sure that you are always spending it with the right people. A famous quote from Gary Vaynerchuk must be referred in this context – I am terrible at 99 percent of stuff, but for that 1 percent I go all out. The truth about the human condition is that we are conditioned by our teachers, parents and peers. And most of them would keep reiterating the same thing – you have to focus on working on your weakness. You must strengthen your low points. 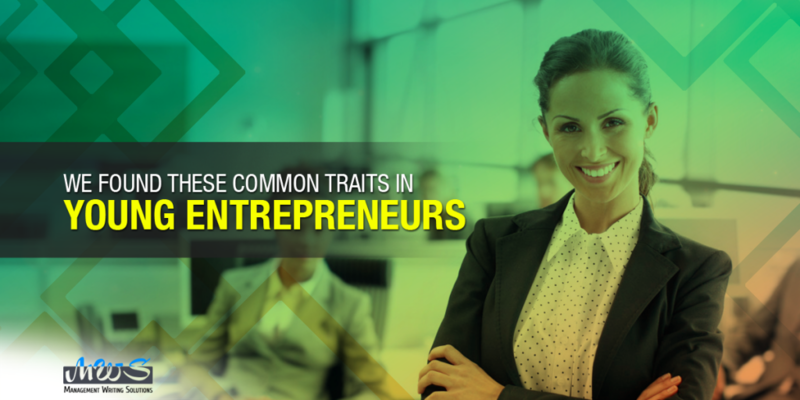 Most young entrepreneurs focus their energy 100 percent on their strengths and skills. They also choose to surround themselves with people who compliment their weaknesses or work towards delegating them. A good thing to understand is that one will never become successful by focussing on things they are bad at. You must understand, what is the one thing at which you are the best, or could become the best at if you try? And once you muster that skill and begin to produce real results, then you can move on to a different thing. The problem with a jack of all trades is that they are rarely exceptionally good at anything and are usually broke for most of the times. Young millionaires know that they will never get wealthy by trading time for cash and you must understand it too. While it may seem alright for awhile but after a point of time it becomes imperative to focus on leverage and scaling. The main reason network managing, entrepreneurship, direct sales and internet businesses are expanding exponentially with time is due to the fact that there are endless possibilities and upsides to that business. While it may not be easy with risks, but one must see through these risks and pay attention to the rewards. Concentrate on the power of leveraging and how you can create a consistent flow of income instead of trading time for money. Participate in affiliate marketing, membership sites, investment properties, brand building and other different types of programs. Research well and evaluate if you are truly doing the best you can with your time and when you do choose trade time for money, make sure the trade is an intelligent one and worth your time. To be successful, the first thing you must do is give up the need to be liked by others to lead a truly extraordinary life. Those who bind themselves to what other people think about them will always remain limited to the opinion of others. For achieving success it is best you believe that young millionaires take only a few opinions of others about them seriously and are gifted with a really thick skin. They also often learn how to be emotionally intelligent and in a way mentally tough. You must break free from consumption and switch sides to be successful. You need to reorient yourself with the world of producers from being a consumer. MJ Demarco in his book has shed some light on the importance of being a producer with the following lines – instead of purchasing the things they show on TV, you must learn to sell them, instead of digging around for gold begin by selling the shovels; set yourself different from those who take a class instead be those who offer a class. Do not borrow money, instead lend it. Do not search for jobs instead hire for jobs. Instead of taking a mortgage, hold a mortgage. Break away from the shackles of consumption. Before you choose to consume richly, you must learn to produce richly as well. Society mostly has it backwards – consumption before production, it is prudent to switch teams. Have wealth be attracted to you! In closing thoughts, we would like to urge you in taking these advices seriously. Do you want to spend the first half of your life complaining about the fact that you are too young and the second one about being too old? For champions there is no tomorrow, the right time is always now. The present time is the best in human history for those who take 100 percent responsibility of their economic well-being. Will you be one of them?